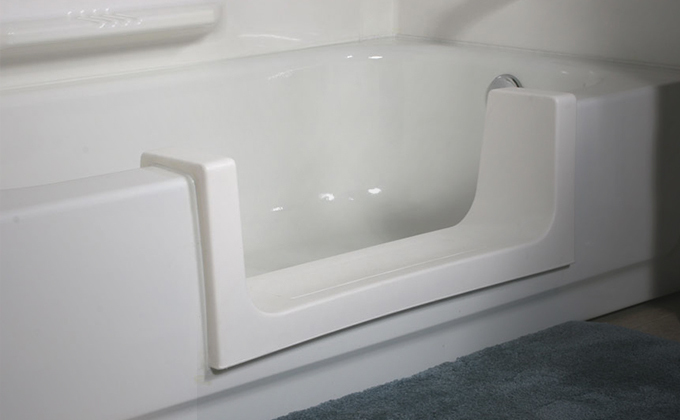 A walk-in bathtub is easier and safer to get in and out of than a conventional bathtub. 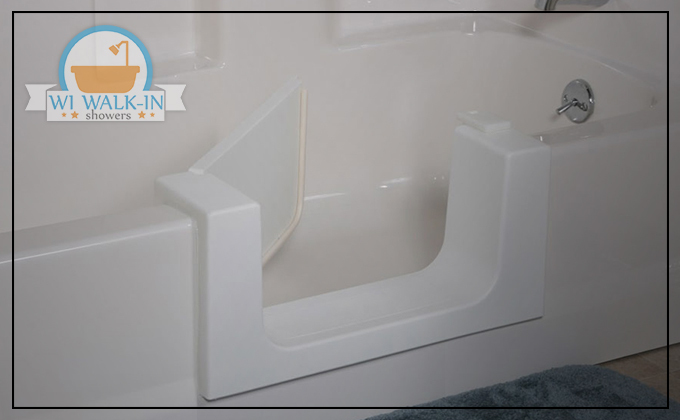 Instead of having to step over a tub wall, it is very easy to step into a space that is 7-8 inches high or lower. 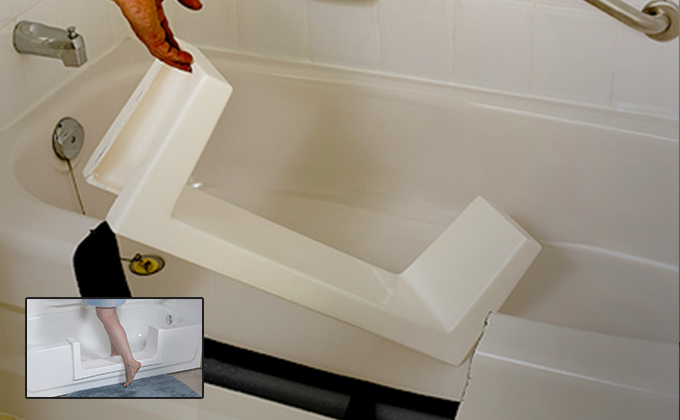 Dramatically reduce your risk of falling and gain the freedom to bathe unassisted. 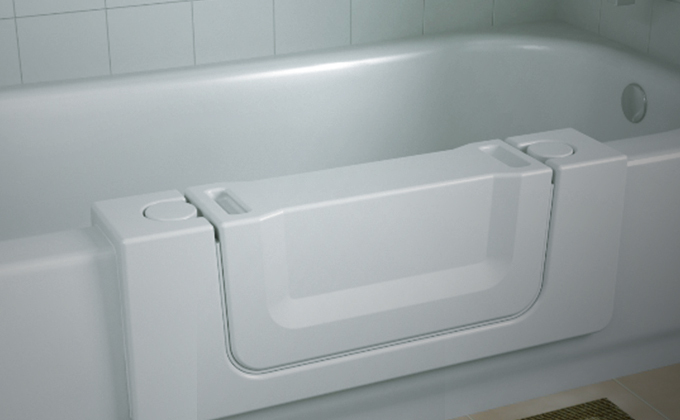 Walk-in bathtubs are equally comfortable for people of all ages and abilities. 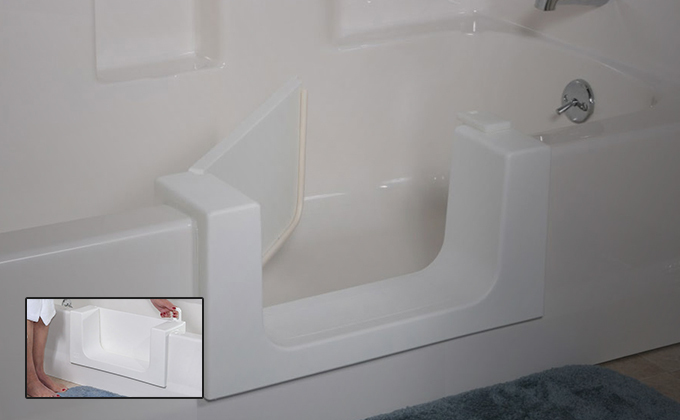 Enjoy having the option of soaking safely in your bathtub. WATER-TIGHT DOOR FOR TAKING A FULL BATH! Seals water safely, no need to worry about leakage. Super smooth door frame, with the high elasticity rubber strip. Sit back and fully relax your body and enjoy your bathing experience. 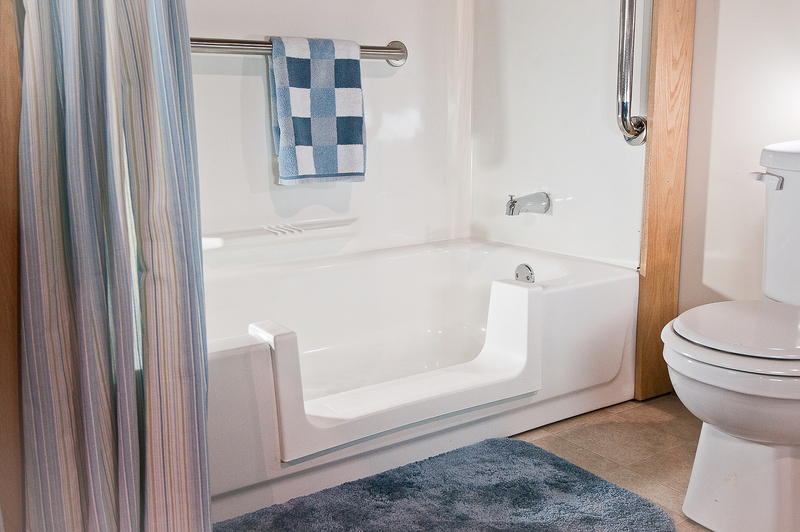 Walk-in tubs and showers for elderly people can feature the swinging door. 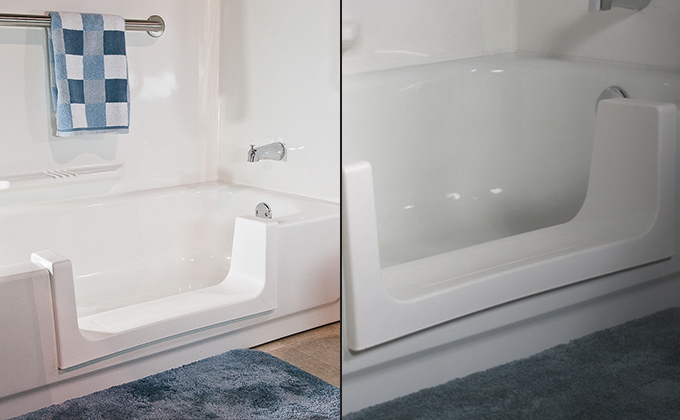 Walk in tubs and showers are designed to step into the tub easily. When you want to take a shower or a bath, just open the door and step inside. 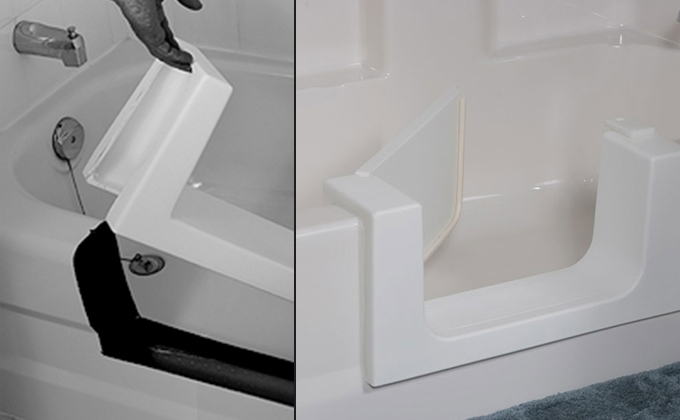 Climbing a high bath tub becomes an obstacle with age. You can sit there comfortably while you bathe. 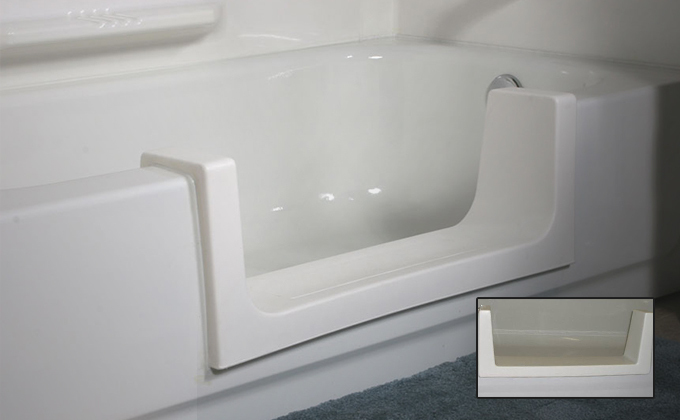 Adds WALK-In Accessibility to Your Existing Tub! Fully Installed For around $995. 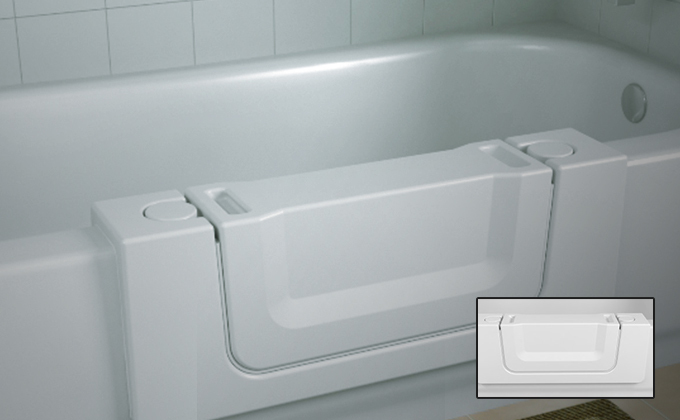 Ads Step-In Accessibility to Higher Profile Tubs! Fully installed for around $1395. Contact us and we will stop by right at your door step.